Until very recently online casinos did not have real-world communication. Online casinos have very many games that players can access easily, but they have not been as popular in the past as players felt that they lacked the human touch. The only human communication one could obtain in online casinos was chat boxes. A significant part of gambling is the human interaction with others not just players but dealers as well. Everyone likes to smile at the person dealing them the cards. A live casino dealer has the same responsibilities a casino dealer has in a standard casino. The only difference between the two is that a live casino dealer is streamed lived to the various players available online instead of standing physically in a casino. 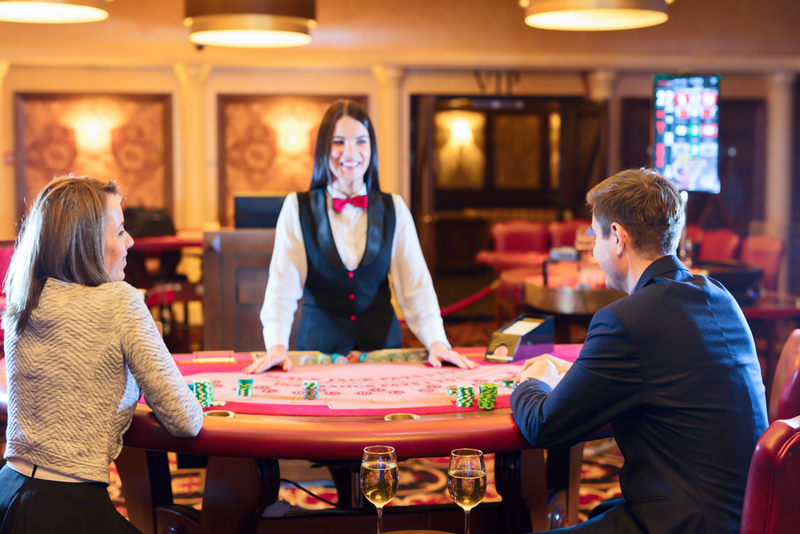 Some live casino games include: A typical selection of gambling games offered at an online casino might consist of: roulette, baccarat, blackjack, craps, roulette, sic bo, poker, keno, bingo, pai gow, craps, wheel of fortune, Caribbean stud poker, Texas bonus poker. The first thing you must do as a live casino dealer is learned how to play a few table games as you will be required to lead the games but more than that you may be required to explain to any new players the rules of the game or how the game is played. It is therefore essential that you have a good understanding of how the games are played and what rules apply. It is advisable that you acquire some fancy card skills, they may not be required immediately you start working as an online casino dealer, but with time you will need them. You do not need any academic requirements to work as an online casino dealer. Some companies may require you to go through training before you start your job. The training will usually take up to eight weeks to complete. Blackjack would typically only need two weeks training; Roulette would take up to four weeks to complete training for, you would require up to five weeks to complete a Texas Poker training. You also need some people skills to be an effective live casino dealer. You must know how to interact with people. You must be warm and enticing so that as new players come on board, you can hold their attention. You should also be entertaining to watch, the people watching you as you are being streamed live should find you entertaining to watch. People play live casino online games to be entertained as a live casino dealer you should be the life of the party. What are some of the tasks you would be handling as a live casino dealer? You should be aware of professional casino players and make sure that they are not counting cards.